The Driftwood RV Resort and Campground is located in Copalis Beach, Washington. 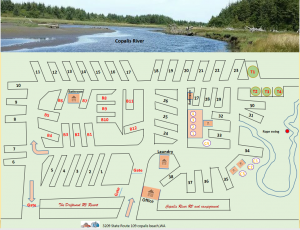 Copalis is just north of Ocean Shores and Ocean City on State Route 109 close enough for an easy trip to these beach communities. 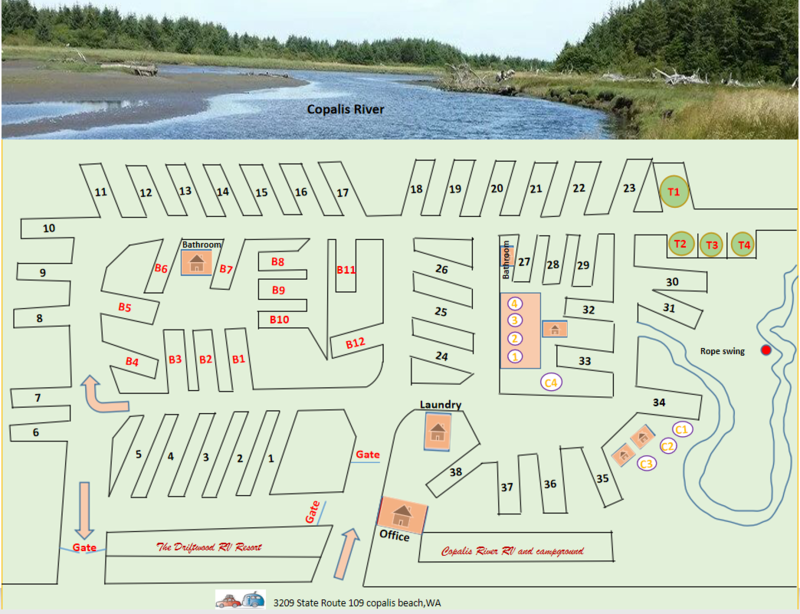 Further north on the highway from Copalis Beach you will find Seabrook, Pacific Beach, and Moclips. Together this is home to some of the finest beaches, cliffs, streams and rivers that the coast of Washington has to offer as well as many conventions, events, and activities. The Driftwood RV Resort and Campground was built in the 1930s for clamming and fishing. We purchased the Park in 2013 after installing all new underground utilities and we were able to open with the first 15 refurbished sites with 20/30/50 electric service, cable TV service available in HD only due to digital signal, wifi, water from new well, and new on site septic systems. There are 5 pull-thru sites 70 ft long and 35 ft wide and 10 back in sites 70 ft long 45 ft wide. All are level and graveled with picnic tables, fire ring, and fire wood. We also were able to get 5 of the original sites working. The existing restroom is dated but has been re-tiled with new fixtures and is cleaned on a daily basis. In 2019 we want to thank all of our customers for the great reviews and repeat business. We have added another 21 sites, three 70 ft pull thrus and eighteen 60 ft back in sites. They will be coming online thru the season. Our new updated restrooms located across from sites 13 and 14 we will also be in planing and design for the new club house. Click here to view rates and book now! Copyright © 2019 The Driftwood RV Resort And Campground. All rights reserved.